In Chicago, summer equals life. 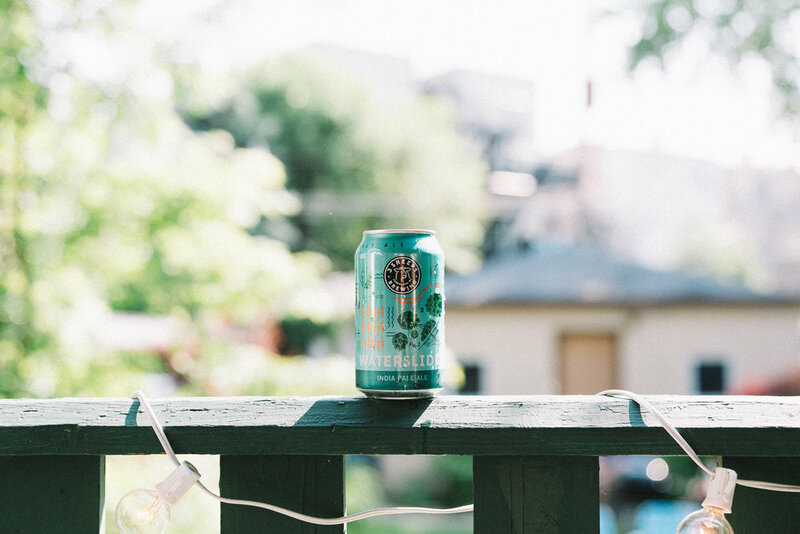 When us Chicagoans arrive at summer, alive with the feeling back in our fingers and toes, there are two things we want more than anything else: 1) to be outside and 2) have a cool cool beverage in our hands. What kind of beverage you ask? We prefer beer and are going to give you a quick rundown of the trends we see prevailing this summer. A lot of craft breweries are attempting to position competitively priced lagers (an elevated version of the Buds and Millers of the world) as a substitution for people who would typically purchase their big beer competitors. 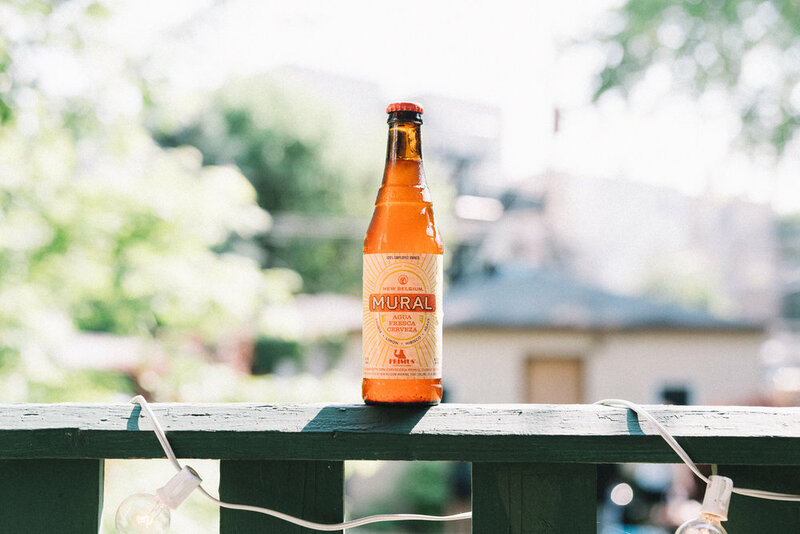 A reliable lager is easy to reach for, especially in the summer when low ABVs and less bite pair perfectly with 90º temps, whatever is on the grill and long days sitting out on patios, beaches and rooftops. Drink Goose Island Summer Hours instead of Budweiser. Drink Bell’s Lager of the Lakes instead of Stroh’s. Drink Hopewell First Lager instead of Coors Light. Drink Pipeworks Pilsner instead of Old Style. Drink 3 Sheeps Pils instead of Miller Lite. Summer, especially in Chicago, is not to be wasted. The sun is out shining longer, and you should be too. It’s not gonna happen though if you’re bogged down by the effects of higher alcohol consumption. Breweries know this. They want their beer to be summer crushed and, in the process, aren’t going to let flavor take a back seat. Hopewell Cold Brew (4.0% ABV) is as close as a beer will get to iced coffee. The Agua Fresca inspired New Belgium Mural (4.2% ABV) is packed with hibiscus, watermelon and other refreshingly bright fruit. Samuel Adams Sam ’76 (4.7% ABV) has become one of our favorite Samuel Adams brews. It's crisp and flavorful, touting both ale and lager characteristics. Impressively, Pipeworks Hop Squishee (4.5% ABV) is a 0 IBU pale ale, with all hops added during dry hopping. Milkshake IPAs, Brut IPAs, Sour IPAs, oh my! You thought New England IPAs were stretching what it means to be an IPA? In our opinion, that rubber band has snapped. We’re entering a world where IPA might as well be its own beverage category. We dig the creativity and beer being brewed, but what are the boundaries of IPA? What are the defining characteristics each and every version of the style should have? We seriously want to know. 3 Sheeps Waterslides is the most west coast IPA on this list, without the coast. Hop Butcher Unwind Your Mind pours hazy and dank, delicious enough to clear even the most tangled mind. They call Collective Arts Liquid Arts Fest a milkshake, but it drinks more like a fruit smoothie. Samuel Adams New England IPA is closer to the NEIPAs of Vermont than the juice bombs coming out of its fellow Massachusetts breweries. Can we start calling beers like Hailstorm Boing! dessert IPAs? This one is packed with pineapple and vanilla, at a crushable 5% ABV. Forbidden Root x Corridor The Continental was brewed with all European hops and lactose, an unlikely but tasty pairing. Forbidden Root Assembly Required V2 (Key Lime) hits the tongue with a burst of tart Key Lime, mellowed out by its sweet vanilla finish. About two years ago, the industry decided sours were going to be the next big trend in craft beer, an entry point for wine and cocktail drinkers. What we got was a lot of bracingly sour beer. This summer, you’ll find a lot of breweries taking it back a few notches to levels more tart than sour, sometimes even labeled as such. Acidity will be cut with ingredients like sweet fruit and floral hops, keeping you coming back for more without a need for the TUMS. New Belgium Tartastic Strawberry Lemon Ale was described to us as what an adult would sell at his or her lemonade stand. Whether it's mashed up or pumped up, Collective Arts Mash Up the Jam is in fact a jam. Make sure you drink it up. 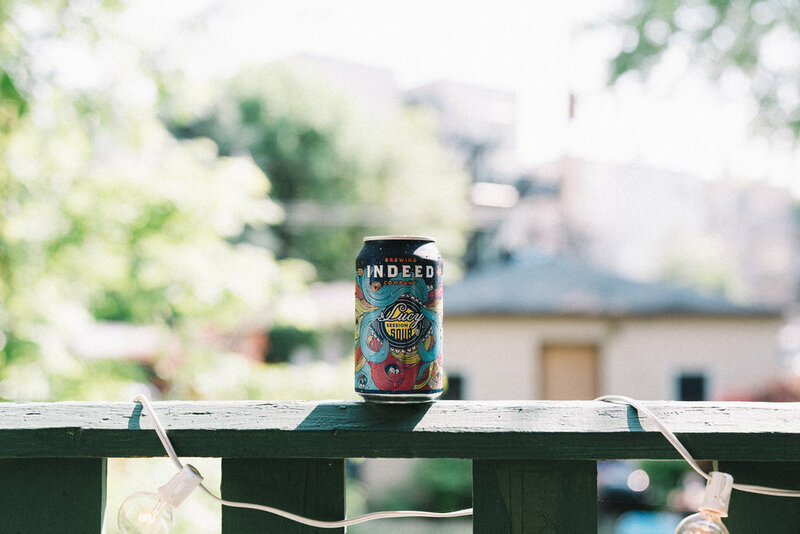 Indeed Brewing Lucy Session Sour is slightly tart, with strong notes of passion fruit. Bitter orange peel and lemongrass provide subtle balance. The light upon Lake Michigan, Middlebrow Whitney, is tart and flavorful, with an interesting spice character from the Grains of Paradise used in it. If you walk into any beer store this summer, it will quickly become clear tallboy (16 oz.) 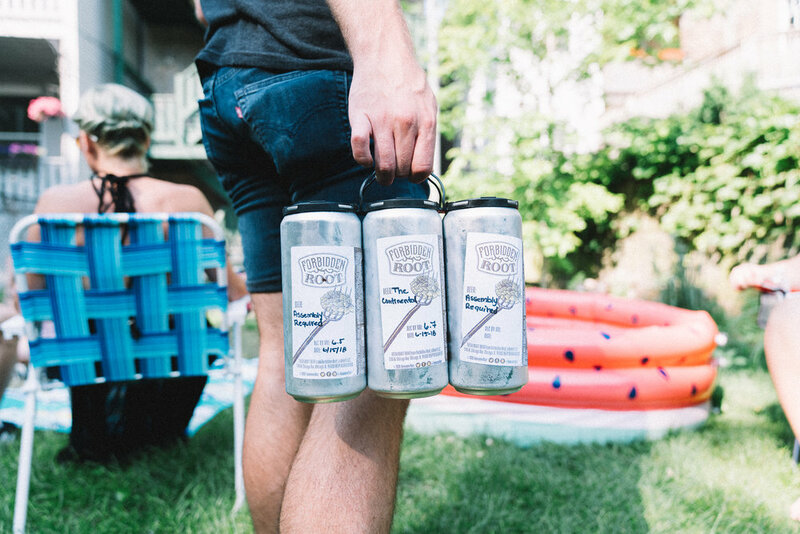 4-packs are becoming a lot of breweries' preferred packaging format, and we're totally on board with it. It's a terribly general critique, but tallboys are just cooler than 12 oz. cans. The larger size provides more space for artists to play around with label designs. There's more liquid to crush, obviously. The can itself blocks out 100% of harmful summer sun rays. Don't sunburn your beer! A 4-pack travels well and takes up less space in a bag. It's easy to share with 1 or 3 friends, and if you happen to be hanging out with a larger group than that, see our next trend. Variety packs are perfect for get togethers with larger groups of friends and/or family. 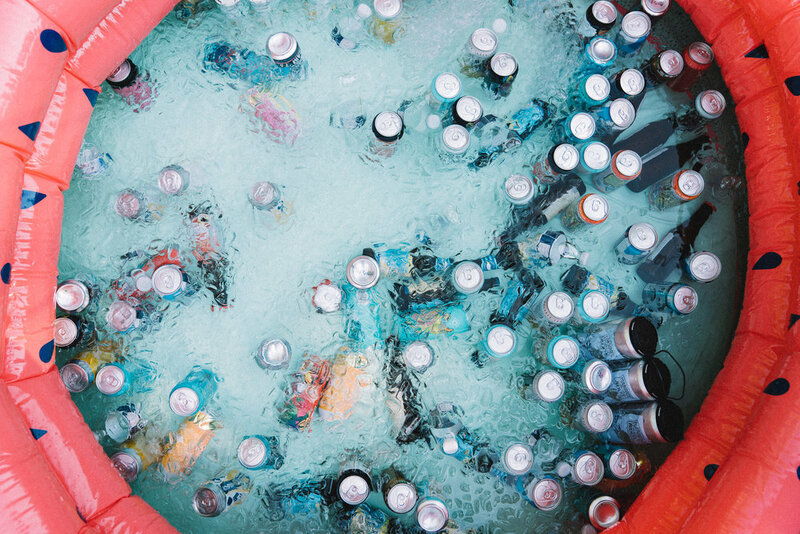 In the summer, you got your picnics, BBQs, pool parties, beach hangs and boat bashes. The larger the group, the larger the range of beer preferences. The nice thing about variety packs is they will likely provide something enjoyable for all of the beer drinkers in your crew. Dogfish Head is doubling down on this trend and created a leak-proof box to house their variety pack in, which easily transforms into a cooler and also comes with a custom Koozie. 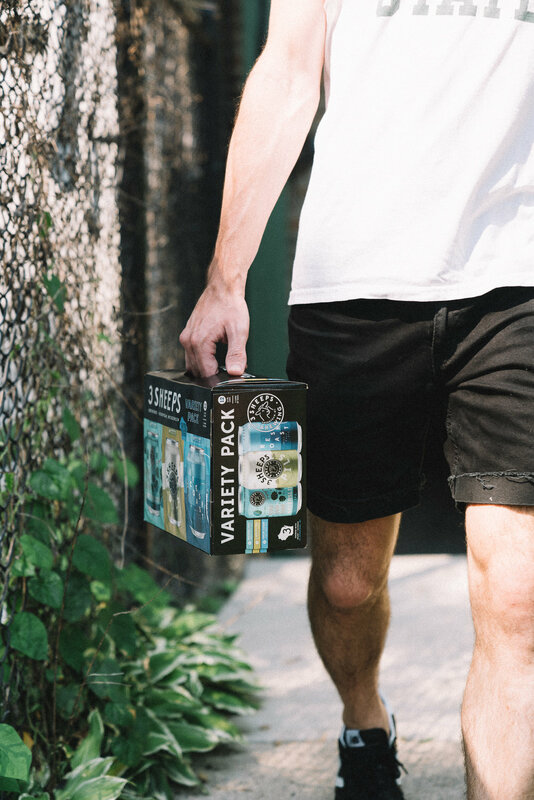 While not currently distributed to Chicago (we're crossing our fingers it will be soon), 3 Sheeps Variety Pack comes with three different styles of beer — a pils, a juicy pale ale and an IPA, perfect summer crushers. Inspired by Hunter S. Thompson and vintage aloha-style prints, California Cowboy aimed to create a shirt that would perfectly enhance the wearer's summer drinking experience. 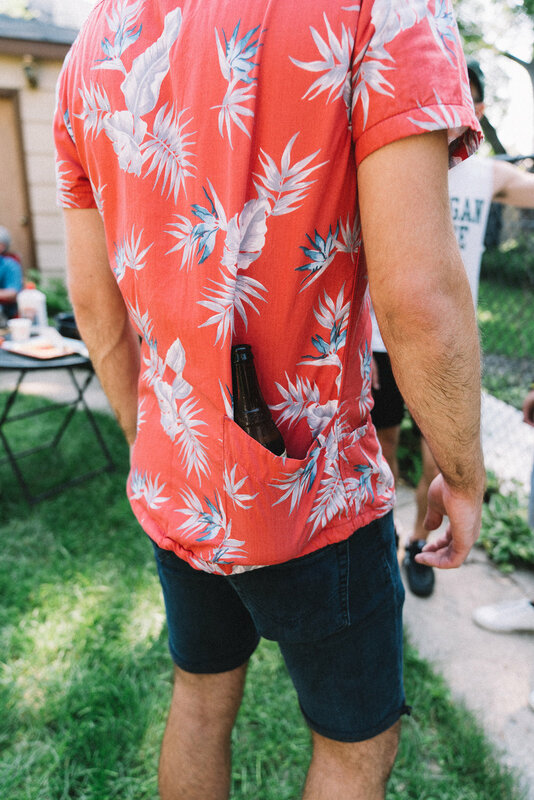 It has a sunglasses loop, a bottle opener pocket (bottle opener included), a pocket to hold your now opened bottle (Koozie included), a dry water-resistant pocket for your phone and cash and a built in towel. What more do you need? It's a comfortable slim fit and doesn't feels like your carrying anything extra with all of the pockets. If you live in a warmer part of the country, we recommend going with the "Tropic" version of the shirt, which isn't lined with the terry cloth towel. Are there any other trends you think will be hot over the next couple of months? Let us know in the comments section below and tag us in your social posts with whatever brews your drinking this #summeroverbeer. Stay cool out there.